A bank is a financial institution licensed by a government. Its primary activities include providing financial services to customers while enriching its investors. Many financial activities were allowed over time. The level of government regulation of the banking industry varies widely, with countries such as Iceland, having relatively light regulation of the banking sector, and countries such as China having a wide variety regulations but no systematic process that can be followed typical of a communist system. The name bank derives from the Italian word banco “desk/bench”, used during the Renaissance by Jewish Florentine bankers, who used to make their transactions above a desk covered by a green tablecloth. However, there are traces of banking activity even in ancient times. In fact, the word traces its origins back to the Ancient Roman Empire, where moneylenders would set up their stalls in the middle of enclosed courtyards called macella on a long bench called a bancu, from which the words banco and bank are derived. As a moneychanger, the merchant at the bancu did not so much invest money as merely convert the foreign currency into the only legal tender in Rome—that of the Imperial Mint. The earliest evidence of money-changing activity is depicted on a silver drachm coin from ancient Hellenic colony Trapezus on the Black Sea, modern Trabzon, and c. 350–325 BC, presented in the British Museum in London. The coin shows a banker’s table (trapeza) laden with coins, a pun on the name of the city. Bank is a financial institution and intermediary, which collect deposits through its different deposit mechanism and provide loans and advances among the loan Clients/ investors with the view to earn profit. Thus a bank is a financial intermediary and a dealer of loans and debts. In financial concept, banking means safe custody of money and at the same time an institution for money transaction. To regulate the banking business some financial laws of the government are followed, the old ones are the British Stamp Law, 1881 and English Exchange Bill, 1882. Other laws include the English Financial Act of 1915 and Indian Company Act of 1931 and the Indian Banking Regulation Act of 1949. The concept of Banking is an old civilization. Banking activities in its earliest crude form of lending and exchange prevailed during the ancient period. The legend of huge treasure of the Great King Solomon, the man of great wisdom, son of David (Alaihee-aas-Salam) and the activities of taxation and banking during his reign in 1005 B.C. “Banking business” means the business of receiving money on current or deposit account, paying and collecting cheques drawn by or paid in by customers, the making of advances to customers, and includes such other business as the Authority may prescribe for the purposes of this Act; (Banking Act (Singapore), Section 2, Interpretation). 1. Receiving from the general public money on current, deposit, savings or other similar account repayable on demand or within less than [3 months] … or with a period of call or notice of less than that period. 2. Paying or collecting cheques drawn by or paid in by customers. The Indus Valley Civilization, the Roman Civilization, the Greek Civilization, the Egyptian Civilization, the Mesopotamian Civilization, the Babylonian Civilization, the Vedic Indian Civilization, the Muslim Civilization played important roles in giving birth to and flourishing of Bank. Whoever, being an individual firm, company or corporation generally deals in the business of money and credit is called bank. In our country, any institution, which accepts, for the purpose of lending or investment deposits of money from public, repayable on demand or otherwise, and with transferable by checks draft order and otherwise can be termed as a bank. The purpose of banking is to ensure transfer of money from surplus unit to deficit units. Bank is all countries work as the repository of money. The owners look for safety and amount of interest for their deposits with Banks. Entrepreneurs try to obtain money from the banks as working capital and for long-term investment. These entrepreneurs welcome effective and forward-looking advice for investment. Banking sector thus owe a great to the deposit holders on the hand and the entrepreneurs on the other. They are expected to play the role of friend, philosopher, and guide for the deposit holders and the entrepreneurs. Since liberation, Bangladesh passed through fragile phases of development in the banking sector. The nationalization of banks in the post liberation period was intended to safe the institutions and the interest of the depositors. Those handling the banking sector have borne the burden of putting banks on reliable footings. Despite all that was done, some elements of irregularities appeared. With the assertion of the role of the Central bank, The Bangladesh bank started adopting measures for putting banking institutions on right track. Yet the performance of public sector management of banks left some negative effects in the money market in particular and the economy in general. The agility among the borrowers manipulates the banking sector as a whole. In effect, a default culture appeared on the scene. The opening of PRIVATE and FOREIGN participants to the banking sector was intended to obtain desirable results from banking. The authorization of private banks was designed to create competition among the banks and competition in the from of efficiency with and the productivity in enterprises funded by banks. Unfortunately, for the people, at large banking sector is yet to obtain the credit for efficiency, credibility, and growth. The clever, among the user of banking services, have influenced the management of banks, for obtaining short-term and long-term loans. They sometimes showed inflated to get money for investment in business and industry. Few diverted their loan money to purposes different from the loan proposals, and invested in non-profitable units have failed to repay their loans to the banks. For this reason new entrepreneurs are not getting capital while defaulting entrepreneurs have started obtaining either relief in the form of rescheduling of the repayment program or additional inevitable money for diversified units. The banking system at independence consisted of two branch offices of the former State Bank of Pakistan and seventeen large commercial banks, two of which were controlled by Bangladeshi interests and three by foreigners other than West Pakistanis. There were fourteen smaller commercial banks. Virtually all banking services were concentrated in urban areas. The newly independent government immediately designated the Dhaka branch of the State Bank of Pakistan as the central bank and renamed it the Bangladesh Bank. The bank was responsible for regulating currency, controlling credit and monetary policy, and administering exchange control and the official foreign exchange reserves. The Bangladesh government initially nationalized the entire domestic banking system and proceeded to reorganize and rename the various banks. Foreign-owned banks were permitted to continue doing business in Bangladesh. The insurance business was also nationalized and became a source of potential investment funds. Cooperative credit systems and postal savings offices handled service to small individual and rural accounts. The new banking system succeeded in establishing reasonably efficient procedures for managing credit and foreign exchange. The primary function of the credit system throughout the 1970s was to finance trade and the public sector, which together absorbed 75 percent of total advances. The government’s encouragement during the late 1970s and early 1980s of agricultural development and private industry brought changes in lending strategies. Managed by the Bangladesh Krishi Bank, a specialized agricultural banking institution, lending to farmers and fishermen dramatically expanded. The number of rural bank branches doubled between 1977 and 1985, to more than 3,330. Denationalization and private industrial growth led the Bangladesh Bank and the World Bank to focus their lending on the emerging private manufacturing sector. Scheduled bank advances to private agriculture, as a percentage of sects oral GDP, rose from 2 percent in FY 1979 to 11 percent in FY 1987, while advances to private manufacturing rose from 13 percent to 53 percent. The transformation of finance priorities has brought with it problems in administration. No sound project-appraisal system was in place to identify viable borrowers and projects. Lending institutions did not have adequate autonomy to choose borrowers and projects and were often instructed by the political authorities. In addition, the incentive system for the banks stressed disbursements rather than recoveries, and the accounting and debt collection systems were inadequate to deal with the problems of loan recovery. It became more common for borrowers to default on loans than to repay them; the lending system was simply disbursing grant assistance to private individuals who qualified for loans more for political than for economic reasons. The rate of recovery on agricultural loans was only 27 percent in FY 1986, and the rate on industrial loans was even worse. As a result of this poor showing, major donors applied pressure to induce the government and banks to take firmer action to strengthen internal bank management and credit discipline. As a consequence, recovery rates began to improve in 1987. The National Commission on Money, Credit, and Banking recommended broad structural changes in Bangladesh’s system of financial intermediation early in 1987, many of which were built into a three-year compensatory financing facility signed by Bangladesh with the IMF in February 1987. One major exception to the management problems of Bangladeshi banks was the Grameen Bank, begun as a government project in 1976 and established in 1983 as an independent bank. In the late 1980s, the bank continued to provide financial resources to the poor on reasonable terms and to generate productive self-employment without external assistance. Its customers were landless persons who took small loans for all types of economic activities, including housing. About 70 percent of the borrowers were women, who were otherwise not much represented in institutional finance. Collective rural enterprises also could borrow from the Grameen Bank for investments in tube wells, rice and oil mills, and power looms and for leasing land for joint cultivation. The average loan by the Grameen Bank in the mid-1980s was around Tk 2,000 (US$65), and the maximum was just Tk18, 000 (for construction of a tin-roof house). Repayment terms were 4 percent for rural housing and 8.5 percent for normal lending operations. The Grameen Bank extended collateral-free loans to 200,000 landless people in its first 10 years. Most of its customers had never dealt with formal lending institutions before. The most remarkable accomplishment was the phenomenal recovery rate; amid the prevailing pattern of bad debts throughout the Bangladeshi banking system, only 4 percent of Grameen Bank loans were overdue. The bank had from the outset applied a specialized system of intensive credit supervision that set it apart from others. Its success, though still on a rather small scale, provided hope that it could continue to grow and that it could be replicated or adapted to other development-related priorities. The Grameen Bank was expanding rapidly, planning to have 500 branches throughout the country by the late 1980s. Beginning in late 1985, the government pursued a tight monetary policy aimed at limiting the growth of domestic private credit and government borrowing from the banking system. The policy was largely successful in reducing the growth of the money supply and total domestic credit. Net credit to the government actually declined in FY 1986. The problem of credit recovery remained a threat to monetary stability, responsible for serious resource misallocation and harsh inequities. Although the government had begun effective measures to improve financial discipline, the draconian contraction of credit availability contained the risk of inadvertently discouraging new economic activity. Foreign exchange reserves at the end of FY 1986 were US$476 million, equivalent to slightly more than 2 months worth of imports. This represented a 20-percent increase of reserves over the previous year, largely the result of higher remittances by Bangladeshi workers abroad. The country also reduced imports by about 10 percent to US$2.4 billion. Because of Bangladesh’s status as a least developed country receiving concession loans, private creditors accounted for only about 6 percent of outstanding public debt. The external public debt was US$6.4 billion, and annual debt service payments were US$467 million at the end of FY 1986. The Banking Industry is Bangladesh is one characterized by strict regulations and monitoring from the central governing body, the Bangladesh Bank. The chief concern is that currently there are far too many banks for the market to sustain. As a result, the market will only accommodate only those banks that can transpire as the most competitive and profitable ones in the future. Of these, there are four nationalized commercial banks (NCB), 5 specialized banks, 11 foreign banks, 26 domestic private banks and 4 Islamic Banks currently operating in Bangladesh. Generally, the commercial banks and finance companies provide a myriad of banking products/services to cater to the needs of their customers. However, the Bangladeshi banking industry is characterized by the tight banking rules and regulation s set by the Bangladesh Bank. All banks and financial institutions are highly governed and controlled under the Banking Companies Act-1993. The range of banking products and financial services is also limited in scope. All local banks must maintain a 4% Cash Reserve Requirement (CRR), which is non-interest bearing and a 16% Secondary Liquidity Requirement (SLR). With the liberalization of markets, competition among the banking products and financial services seems to be growing more intense each day. In addition, the banking products offered in Bangladesh are fairly homogeneous in nature due to the tight regulations imposed by the central bank. Competing through differentiation is increasingly difficult and other banks quickly duplicate any innovative banking service. The Jews in Jerusalem introduced a kind of banking in the form of money lending before the birth of Christ. The word ‘bank’ was probably derived from the word ‘bench’ as during ancient time Jews used to do money -lending business sitting on long benches. First modern banking was introduced in 1668 in Stockholm as ‘Svingss Pis Bank’ which opened up a new era of banking activities throughout the European Mainland. In the South Asian region, early banking system was introduced by the Afghan traders popularly known as Kabuliwallas. Muslim businessmen from Kabul, Afghanistan came to India and started money lending business in exchange of interest sometime in 1312 A.D. They were known as ‘Kabuliwallas’. Bangladesh Bank (BB) has been working as the central bank since the country’s independence. Its prime jobs include issuing of currency, maintaining foreign exchange reserve and providing transaction facilities of all public monetary matters. BB is also Bangladesh Bank (BB) has been working as the central bank since the country’s independence. Its prime jobs include issuing of currency, maintaining foreign exchange reserve and providing transaction facilities of all public monetary matters. BB is also responsible for planning the government’s monetary policy and implementing it thereby. The BB has a governing body comprising of nine members with the Governor as its chief. Apart from the head office in Dhaka, it has nine more branches, of which two in Dhaka and one each in Chittagong, Rajshahi, Khulna, Bogra, Sylhet, Rangpur and Barisal. Customers need an Internet access service. As an Internet Banking customer, he will be given a specific user ID and a confident password. The customer can then view his account balances online. It is the industry-standard method used to protect communications over the Internet. To ensure that customers’ personal data cannot be accessed by anyone but them, all reporting information has been secured using Version and Secure Sockets Layer (SSL). Electronic Banking Service for Windows (EBSW) provides a full range of reporting capabilities, and a comprehensive range of transaction initiation options. The customers will be able to process all payments as well as initiate L/Cs and amendments, through EBSW. They will be able to view the balances of all accounts, whether with Standard Chartered or with any other banks using SWIFT. Additionally, transactions may be approved by remote authorization even if the approver is out of station. Swift is a bank owned non-profit co-operative based in Belgium servicing the financial community worldwide. It ensures secure messaging having a global reach of 6,495 Banks and Financial Institutions in 178 countries, 24 hours a day. SWIFT global network carries an average 4 million message daily and estimated average value of payment messages is USD 2 trillion. Swift is a highly secured messaging network enables Banks to send and receive Fund Transfer, L/C related and other free format messages to and from any banks active in the network. Having SWIFT facility, Bank will be able to serve its customers more profitable by providing L/C, Payment and other messages efficiently and with utmost security. Especially it will be of great help for our clients dealing with Imports, Exports and Remittances etc. The monetary and credit policy for the financial year that ended in June, 2000 was formulated with the objective of full utilization of domestic resources and rapid economic growth through priorities for agriculture, industry, export, and expansion and strengthening of the private sector, at the same time keeping inflation within tolerable limits. A modern expansionary monetary and credit policy was adopted in order to make good the losses to agriculture, industry, and infrastructure by the devastating floods of 1998. After the flood the economy remained sluggish in the first quarter of 1999-2000 and the private sector demand for credit shrank. In view of this, the Annual Development Program (ADP) was expanded and development activities in the private sector were geared up. As a result, the public sector absorbed credit at an accelerated rate. Though credit to the private sector picked up towards the end of the year, the overall annual growth was smaller than programmed, although gross domestic credit expanded a little faster than projected. Money supply increased by 15.3% in 1999-2000 compared to the expansion of 8.6% in the preceding year. Narrow Money increased by Tk. 2,631.90 crores or 15.3% to Tk.19881.30 crores in 1999-2000. Of the components of Narrow Money, currency outside banks went up by Tk.1489.40 crores or 17.2% to Tk.10176.00 crores, and demand deposits went up by Tk.1142.50 crores or 13.3% to Tk.9705.30 crores. Broad Money increased by Tk.11735.70 crores or 18.6% to Tk. 74,762.40 crores in 1999-2000 compared to the increase of 12.8% in the preceding year. Of the components of Broad Money, Narrow Money increased by 15.3% and time deposits rose by 19.9% compared to the increase of 8.6% in Narrow Money and 14.5% in time deposits in the preceding year. The shares of currency outside banks, demand deposits and time deposits in Broad Money stood at 13.6%, 13.0%, and 73.4% respectively on 30th June, 2000 compared to 13.8%, 13.6% and 72.6% respectively on 30th June, 1999. Expansion of credit to the private sector, government sector (net), public sector, and other assets (net), along with a surplus in net foreign assets contributed to the expansion of Broad Money. Reserve Money increased by Tk.2321.80 crores or 15.7% to Tk.17064.50 crores in 1999-2000 compared to the increase of 8.3% during the preceding year. Of the components of Reserve Money, currency outside banks increased by Tk.1489.40 crores or 17.1% compared to the increase of Tk.533.30 crores or 6.5% during the preceding year. Scheduled banks balances with the Bangladesh Bank increased by Tk.770.90 crores or 15.3% in 1999-2000 compared to the increase of Tk.488.20 crores or 10.8% in the preceding year. Their cash in tills increased by Tk.61.50 crores or 6.0% as against the increase of Tk.103.60 crores or 11.2% in the preceding year. The increase in Bangladesh Bank’s credit to the government (net) by Tk.1,738.10 crores and net surplus in the foreign sector by Tk.1,262.40 crores played the main role in exerting expansionary influence on the Reserve Money. However the decline of Tk.333.60 crores and Tk.44.90 crores in the borrowings by the scheduled banks and other financial institutions respectively along with the fall of Tk.300.20 crores in other assets (net) partly offset the expansionary impact of those sectors. Total domestic credit increased by Tk.8581.20 crores or 13.6% to Tk. 71,489.00 crores (including adjustment of bonds issued by the government) in 1999- 2000 as compared to the increase of Tk.7267.60 crores or 13.1% in the preceding year. Expansion of credit to the government, private, and public sectors to the extent of Tk.3524.30 crores (31.3%), Tk.4906.10 crores (10.7%), and Tk.150.80 crores (2.5%) respectively contributed to the expansion in total domestic credit in 1999-2000. Credit to the government and private sector had increased by 21.3% and 13.8% respectively, while credit to the public sector declined by 3.7% in the preceding year. The outstanding level of bank credit (excluding foreign bills and inter-bank items) increased by Tk.5,123.30 crores or 10.3% to Tk.54,646.10 crores in 1999- 2000 as compared to the increase of 12.4% in the preceding year. Of the components of bank credit, advances increased by Tk.4892.70 crores or 10.3% and the bills purchased and discounted went up by Tk.230.60 crores or 11.3%. Bank deposits (excluding inter-bank items) increased by Tk.11044.70 crores or 18.6% to Tk.70, 278.70 crores in 1999-2000 compared to the increase of 14.2% in the preceding year. Of this increase , time deposits went up by Tk.9,103.80 crores or 19.9% to Tk.54,881.10 crores, government deposits by Tk.723.60 crores or 14.8% to Tk.5,615.20 crores and demand deposits by Tk. 1,142.50 crores or 13.3% to Tk.9,705.30 crores. On the other hand, restricted deposits increased by Tk.74.80 crores in 1999-2000. Statutory CRR with Bangladesh Bank was lowered for the scheduled banks to 4.0% of their liabilities (demand plus time deposits) (excluding inter-bank deposits) from 5% with effect from 1st October, 1999. The Bank Rate was lowered from 8.0% to 7.0% on 29th August, 1999 and remained unchanged through 30th June, 2000. Theory and Practice of Banking (B-101), BangladeshInstitute of Bank Management, Dhaka, 2000. Andley, K. K & Mattoo, V. J., Foreign Exchange Principles and Practices, Sultan Chand & Sons, New Delhi, 1996. Balchandran, P., Foreign Exchange: A Mannual for Managers, Skylark Publications, New Delhi, 1991. Chakraborty, P., The Negotiable Instrument Act, 1881, Swarna Prokashani, Dhaka. 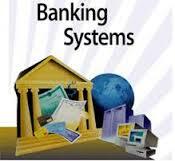 Choudhury, T. A., An Overview of Banks and Their Services, Reading Materials on Banking Service.